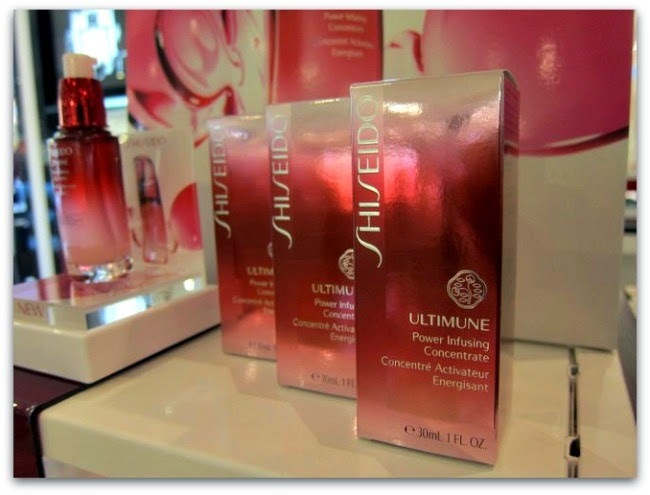 Shiseido Ultimune Power Infusing Concentrate: Is Pre-Serum A Step Too Far? 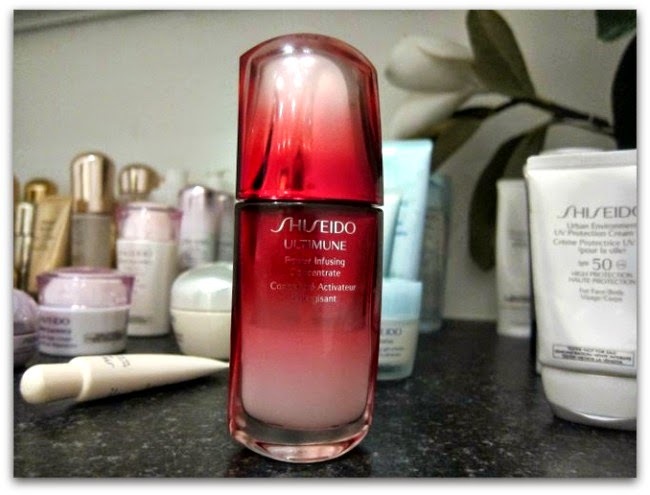 Shiseido's Ultimune is one of their biggest skincare launches of recent times. Developed after 20 years of research on the skin’s immunity, Ultimune is intended to promote healthier skin, strengthening its defences against environmental factors and stress. You use it morning and evening, before your serum and other products. A pre-serum! I imagine Rosemary rolling her eyes, given we near came to blows over serums – and I know it might seem like an unnecessary step. But it’s working for me. My skin gets easily congested and many products are simply too rich, and cause break outs. So I’ve pretty much given up on creams, and rely on layers of lightweight lotions to deliver the moisture and hydration my skin needs. Here’s what I do: I remove my makeup with a micellar water, use a cleanser and face cloth, apply an exfoliating toner with a cotton pad, follow up with a lotion, apply Shiseido Ultimune and top it with a serum and some eye-cream. And I’m liking it so far. Lightweight and silky, it’s quickly absorbed and leaves skin feeling incredibly soft and smooth. There’s silicone in the mix, so part of that’s cosmetic, but my skin also looks brighter, and feels more moisturised. It smells light and fresh - of lotus and rose - and comes beautifully packaged, in a glass bottle with a handy pump. Your skin has its own immune system to protect against environmental threats, emotional stress and ageing - factors which not only weaken skin but also damage its appearance. Shiseido has developed the first complex that helps boost defensive functions that have declined in Langerhans Cells, the cells that hold the key to promoting skin's multi-defensive power. In fact, Ultimune Complex™ improves these cells’ defensive function by 64%, stimulates collagen production, encourages hydration and strengthens skin barrier function. So who is it for? Skincare nuts. Shiseido fans. Anyone who needs a little extra somethin’ somethin’ from their skincare routine. Who should avoid? Young ones. Skincare sceptics. Those naturally blessed with clear, glowing complexions.